Critical thinking is an integral skill, and while a majority of high school and college graduates lack the ability, it’s entirely possible to launch kids into the world with higher-level thinking skills. 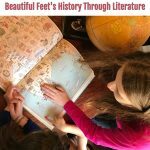 This post was sponsored by BookShark. I was compensated for my time. However, I’m a BookShark ambassador because I truly love the curriculum. I’d write about it even if I weren’t affiliated with the company at all. If I were to ask what sets apart the most brilliant thinkers and innovators of our time, what would you say? Would you mention their creativity? How about their focus? Their passion? Their ingenuity? Honestly, you’d be right on all accounts. But let’s say I asked you a second question: how did these innovators achieve such great heights? Were people like Eli Whitney, Marie Curie, and Albert Einstein just born with it? Was their scientific success a stroke of luck? Did they go to the best, most challenging schools? No matter how we answer that second question, none of our responses matter one bit. It’s true some people are genetically wired to be great thinkers, and some people end up in the right place at the right time. Some people go to the best schools and hail from incredibly supportive environments. The great equalizer in all of this, however, is a skill many high school and college graduates lack. Two things make a difference in a person’s potential for contributions to society: motivation (which I’ve explored thoroughly in this post) and the development of higher-level thinking skills. To understand the nature of higher level thinking skills, it’s helpful to take a look at Bloom’s Taxonomy. His cognitive model explains the order in which our brains take in and process information, from basic knowledge to ideas one can apply. At the bottom of the pyramid are the two most common cognitive achievements: knowledge (basic recall) and comprehension (understanding). This is where all intellectual pursuits begin, with the ability to remember facts and understand what they mean. If this seems like a tall and arduous order, believe me when I tell you it’s not. 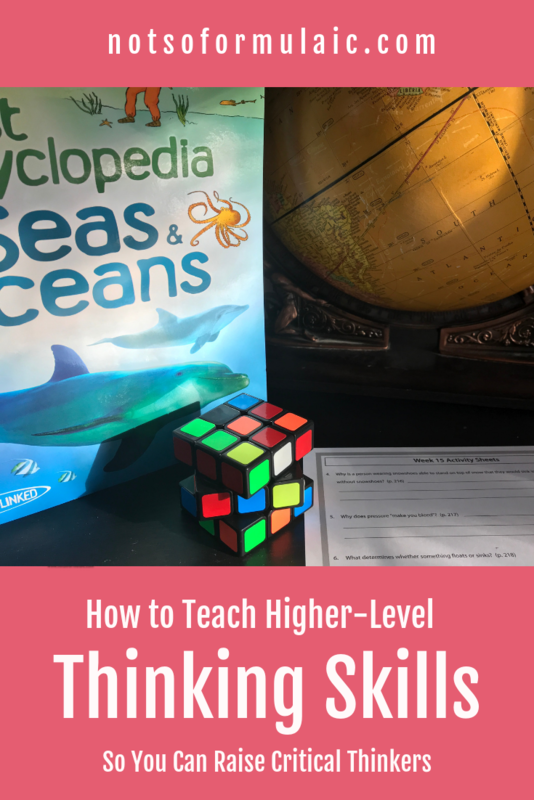 It’s actually quite simple to foster the development of higher-level thinking skills, so long as you have the right tools in place. Create alternatives to the presented information. In other words, try setting historical events in a different time, then explore how ramifications might have changed. For literature, rewrite stories into comics, graphic novels, or screenplays. The greatest analytical work comes through discussion, whether oral or in written form. Begin with questions similar to those listed here and branch out into your own, more relevant topics of conversation. 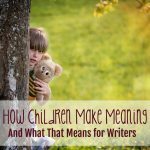 Practice making connections by asking your kids what certain topics remind them of. 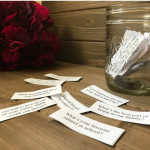 Ask if the ideas you’ve been studying resemble something you’ve read about, heard, or seen. Once you’ve explored these possibilities, spend time making comparisons between the topics at hand. How are the concepts and ideas similar? How are they different? What would happen if the tables were turned? What makes this theory align with your own theories? What examples can you use to prove both of these assertions? Have you changed your mind at all? Why? 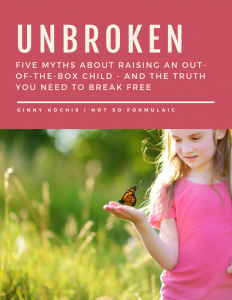 While the above practices can certainly be part of a normal family routine (and, frankly, should be), it helps to use specific curricula whose components advance higher level thinking skills. I’ve been very happy with our curriculum choices this year especially where science is concerned. 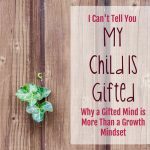 We’re a Catholic family homeschooling twice-exceptional kiddos. 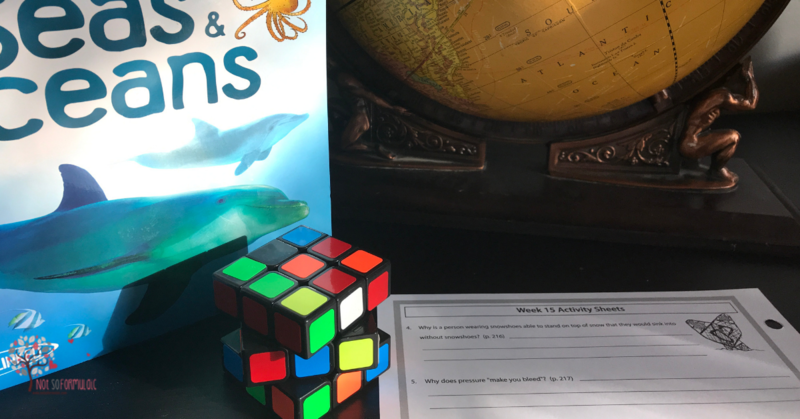 BookShark Science provides a solid footing for the development of higher-level thinking skills. 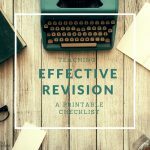 BookShark’s teacher’s guide provides a number of extension activities perfect for the application of knowledge and skills. During week 12 when we were studying creatures who live in the seas and oceans, my 8-year-old chose to modify the optional writing assignment and create an “Interview with a Dolphin” video. 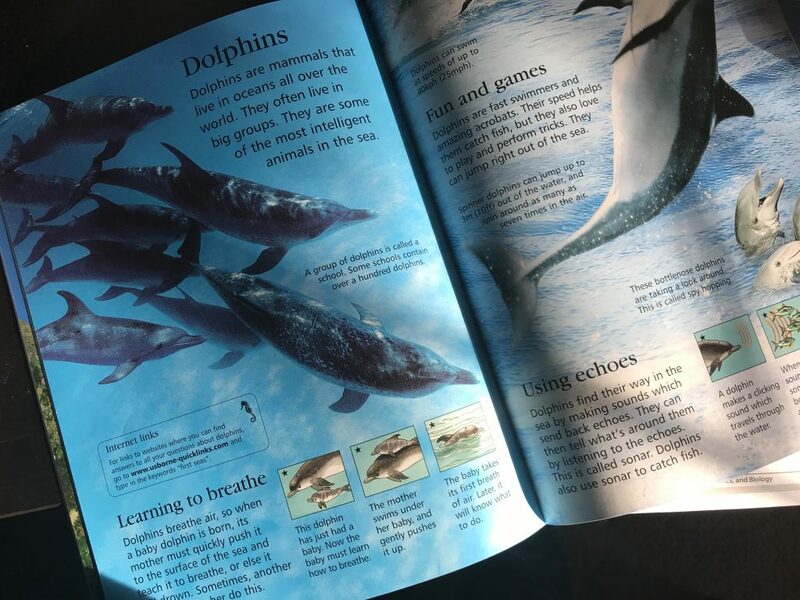 She drafted a series of questions, gave her sister the desired responses, and together, the two of them applied what they had learned about dolphins in a new, creative format. 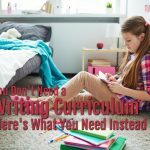 While we don’t use the worksheets included in the teacher’s manual for written work, I think they are an excellent springboard for discussion. 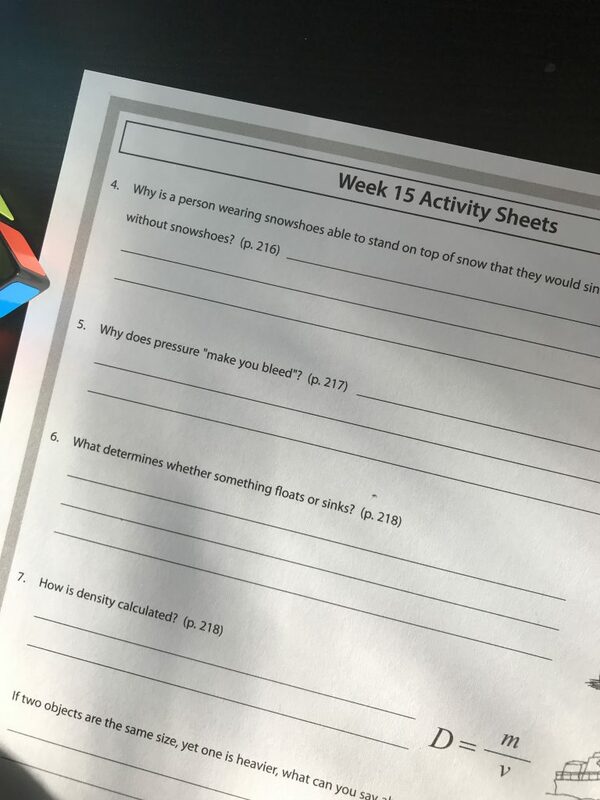 Questions like “Why is a person wearing snowshoes less likely to sink into deep snow than a person not wearing snowshoes?” encourage my eldest to think out loud about practical problems in physics. Like most families with gifted kids, we have our share of rabbit-hole topics. These are favorite interests we have explored from start to finish as deeply as we can. While a number of interests have come and gone over the years, dragons remain a constant. 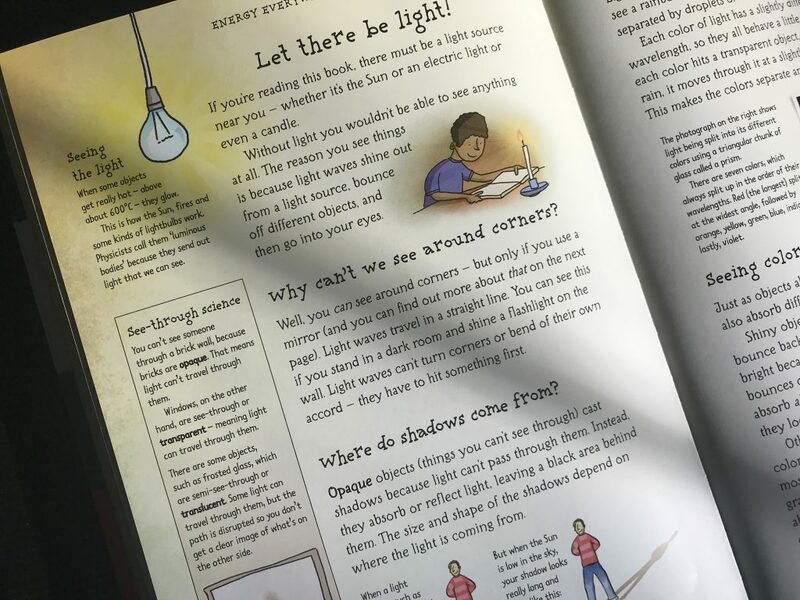 The study of both reptiles and chemical reactions is just one example of the way in which BookShark has encouraged my daughters to synthesize information with other concepts. (We’ve also recently applied the study of the visible light spectrum to spy science, which has been pretty fun). As a Catholic homeschooling mom, my main concern as a mom is making sure my children know why they believe what they believe. 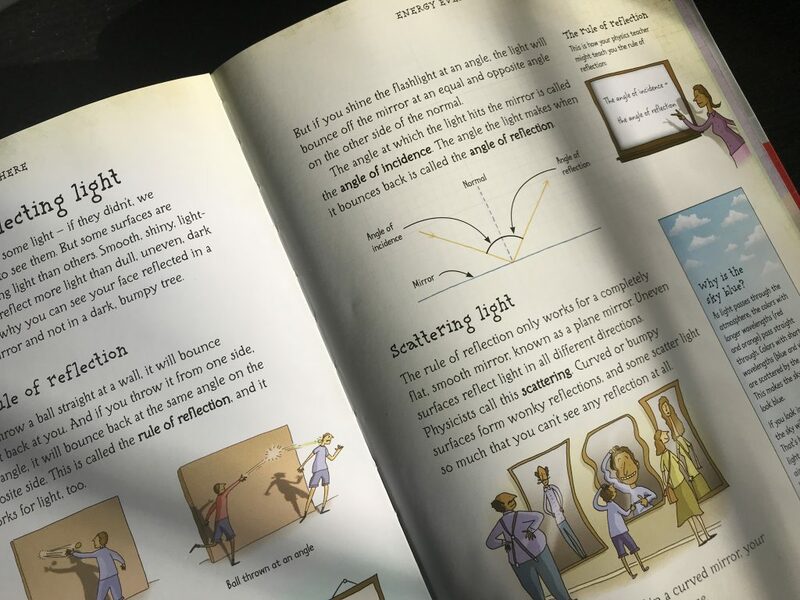 Because BookShark is a faith-neutral curriculum, my girls are able to approach scientific facts and ideas from a Catholic perspective in a natural, organic way. For instance, when my eldest’s Physics book delved into the topic of the creation of the universe, my daughter took a few days to explore not just the theories of Georges Lemaitre (Jesuit and theorist of The Big Bang) but the theories of a number of ancient peoples as well. She even went so far as to create her own written version of the origin of the world as told by animals. It incorporated a number of theories but ended with a focus on The Big Bang set in motion by God. Ultimately, if you want to raise a critical thinker, it’s imperative that you cultivate higher-level thinking skills. It’s an easy thing to do, fortunately, especially if conversation and questioning are a normal part of family life. The more often you provide opportunities for exploration, the more likely you’ll be to launch your kiddos with solid thinking skills.